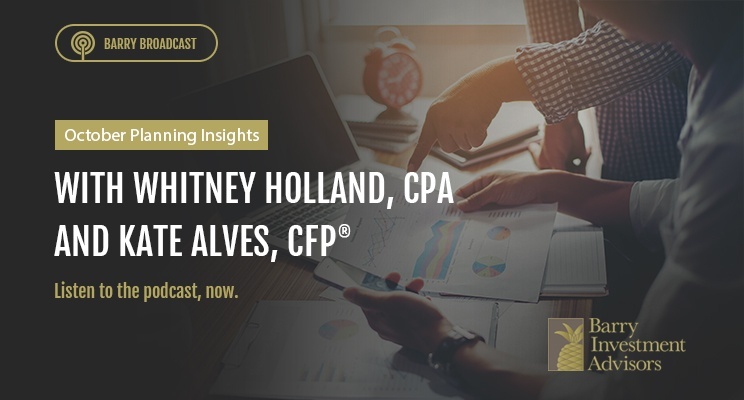 On this month's Barry Broadcast, Whitney Holland and Kate Alves sit down to discuss how the Barry team uses planning technology to help clients visualize, monitor, and achieve their financial goals. They speak about a client experience in which this individual needed support paying down credit card debt and beginning the process of saving for retirement. Listen to the full podcast below and reach out to the Barry team if you have a specific investment or planning goal you could use a bit of help with.